FotoBella: Happy St. Patrick's Day! 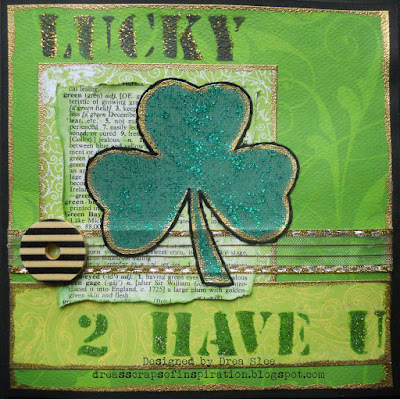 Happy St. Patrick's Day from all of us at FotoBella! This Irish holiday holds a special place in my heart, as it's also the 16th anniversary for me and my husband. I'm so lucky my cousin dragged me out that night, and brought us together! Bo Bunny's Ephemera packages are always so perfect for making cards, and the new Secret Garden Ephemera, was ideal with all of the greens, in creating this card for my love. I cut the shamrock from green cardstock, and embossed the edges with Ranger Gold Embossing Powder, which I also used around the papers from the Ephemera. Then I covered it with Green Stickles, and outlined it in black with some hand-stitching. I love that the book page from the Ephemera has the green definition, which I tore and colored with Distress Inks (Twisted Citron and Mowed Lawn)! 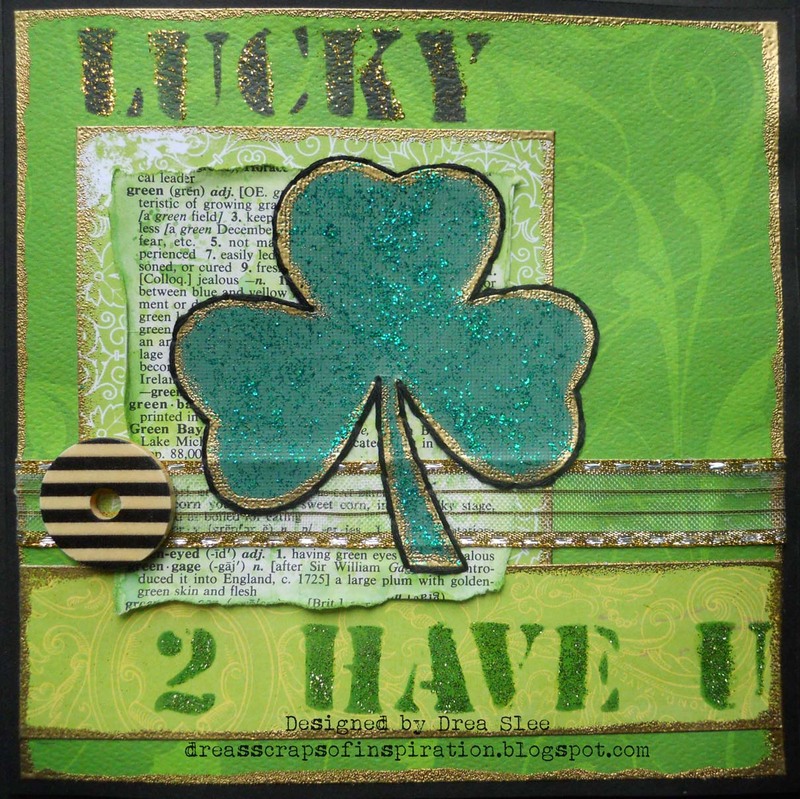 For the sentiment, I used Tim Holtz' Cargo Alphabet Stencil, masking LUCKY with Ranger Jet Black Archival Ink and Golden Rod Stickles. Then I used Memento (Cottage Ivy) ink and Bo Bunny's Wasabi Glitter Paste to mask the rest. I finished it off with some sheer gold ribbon from my stash, and added the striped button that also comes in the Ephemera. 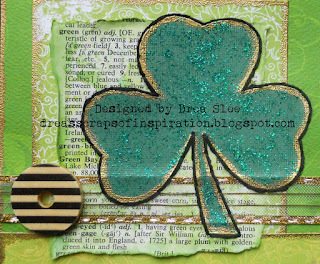 Have a wonderful St. Patrick's Day, and be safe!